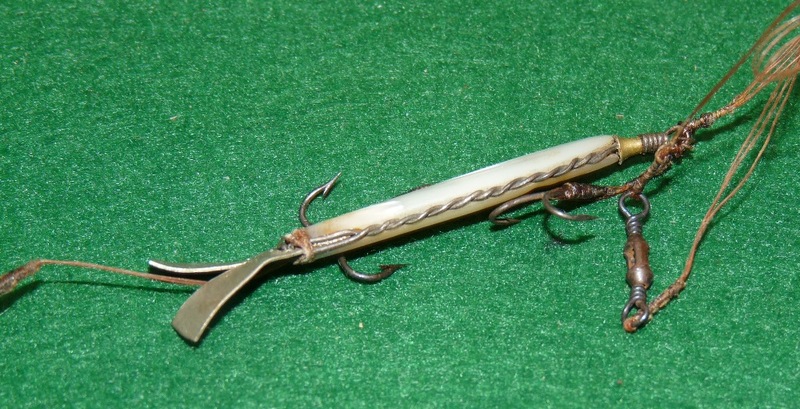 LURE: Very rare silver Pearl minnow (possibly Ustonson) dating from c1770-1855 period. The lure approx. 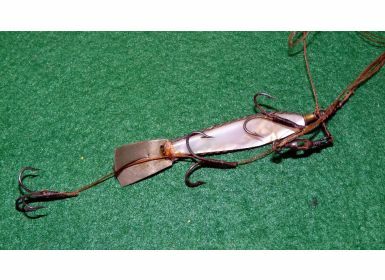 2” long with twin Mother of Pearl side plates riveted to central nickel body plate, opposing tail fins, double and treble Georgian blued hooks to flank and tail, front ring and box swivel with trace mount, differs slightly from the one we sold in December 2016 as this has silver wire braid along the body, possibly an even earlier example, in fine condition. 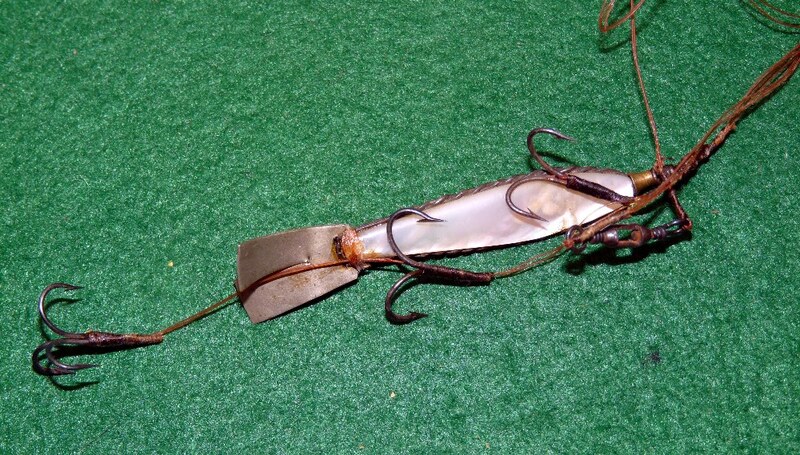 An article appeared in Sept 2005 issue of Classic Angling by John Knott. He researched the dating and evidence of the Ustonson Pearl Minnow comparing a lure in his own collection. Based on Ustonson trade card c 1775 bound into a Hawkins 3rd edition of the Compleat Angler 1775 plus illustrations of the minnow in Blacker’s Art of Angling 1855, the bait and drawings are near identical, indicating Ustonson? 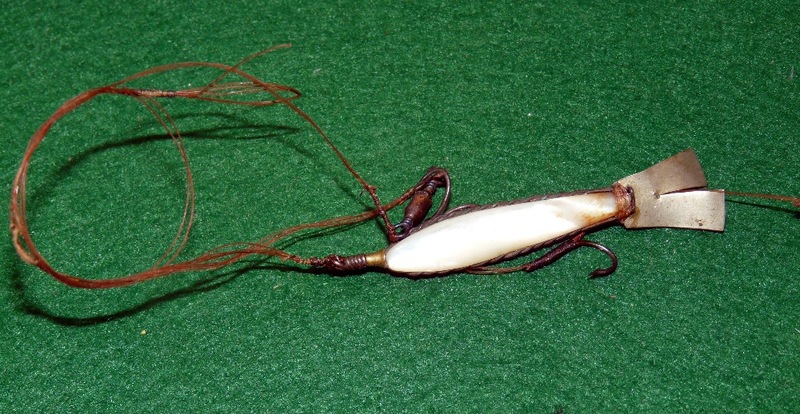 Further information Turner G Fishing Tackle, a Collectors Guide & Classic Angling. Sept 2005 issue.